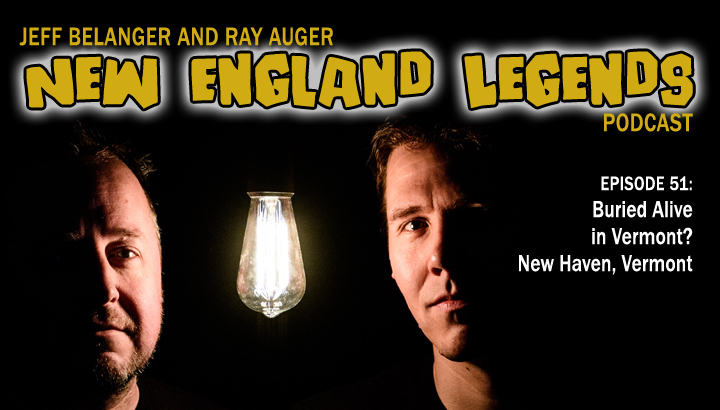 Home Features New England Legends Podcast 51 – Buried Alive in Vermont? 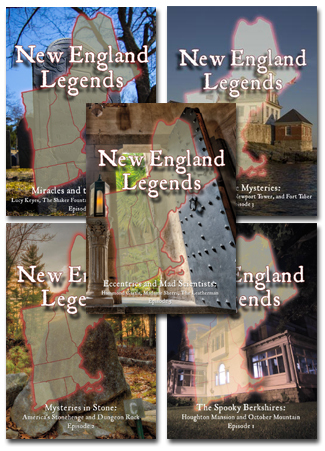 New England Legends Podcast 51 – Buried Alive in Vermont? 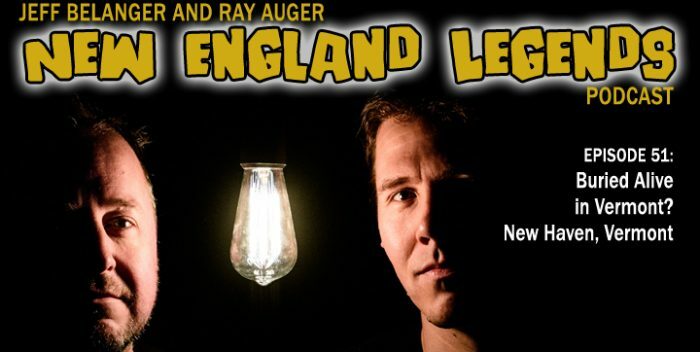 In Episode 51 Jeff Belanger and Ray Auger visit Evergreen Cemetery in New Haven, Vermont, in search of the final resting place of Timothy Clark Smith — a man who suffered from taphephobia — the fear of being buried alive. Smith’s 1893 grave was designed with a chimney and a window. Why did he do it? And what’s down there?